The weather this winter’s been weird. We’ve had more rain than snow, and freezing temps have been fleeting. Most days you can even wear any shoes you choose, no bulky boots required. We aren’t complaining, but now that the holiday decorations are down, and the Christmas tunes are on mute, the only natural sign that it’s still winter is the world of eternal darkness we’re forced to endure until Daylight Saving Time. Which is as good a reason to drink as any. Now, some folks around here would order a frozen margarita in an ice storm, but even they admit that the most seasonally appropriate cocktails are best served warm. We’re talkin’ takes on toddys, Irish coffees, boozy hot cocoa, mulled wine, and spiked cider that you’ll want to wrap your fingers around, draw to your face, and blow on like a social media influencer with hygge to prove. These are the best hot cocktails in NYC right now. Can’t afford a trip to Italy? 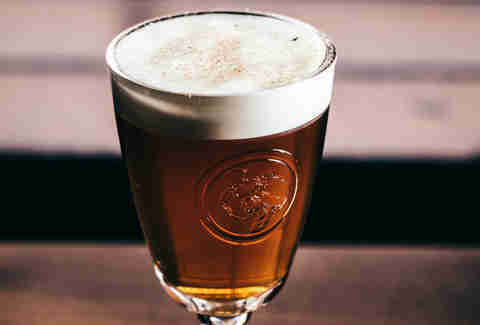 Travel no farther than Brooklyn to drink like a fancy European on a cold winter’s night. This classy cocktail is a mix of Gran Classico, Cynar 70 (a sweet, nutty Artichoke-based liqueur), saffron-tinged Strega, and tart Contratto Aperitif. “Amari” is Italian word for bitters, so expect a negroni-adjacent flavor profile at an elevated temperature. Hit this popular Queens bar before Amazon employees pack it even tighter. The Bear Trap is a spiked cider/hot buttered rum mash-up made with fresh apple cider, spiced butter and bourbon. 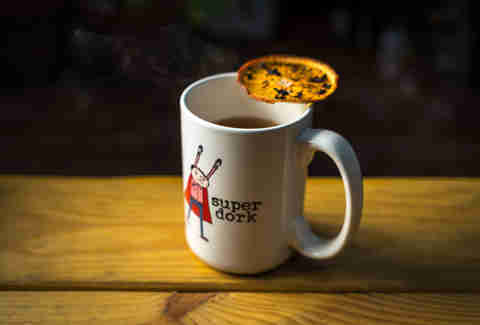 The steamy winter favorite tastes like a liquid artisan Lifesaver. 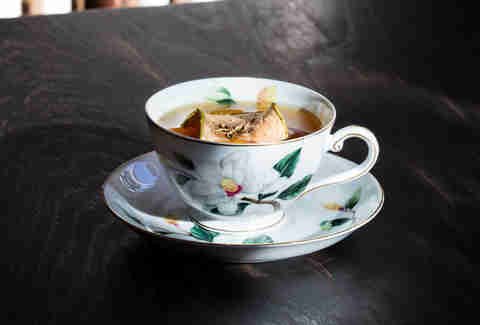 Warm your soul to the very core with a steamy bowl of ramen and a Japanese take on the ubiquitous Hot Toddy. This version includes Japanese whisky, said to be silkier than that from other parts of the world. Hot water, honey and yuzu -- a fragrant citrus that resembles a lemon and tastes like a grapefruit-mandarin-orange-hybrid -- complete the cocktail. Hot coffee drinks are tops. The booze keeps you chill and the caffeine gets you going. Like a Four Loco. This Brandy-based libation includes Stumptown coffee, demerara syrup, a bracing kick of Branca Menta, and a kiss of absinthe whipped cream. An upturned airplane bottle in a burnt bodega brew with a will do for your morning commute, but brunch calls for something a little more refined. 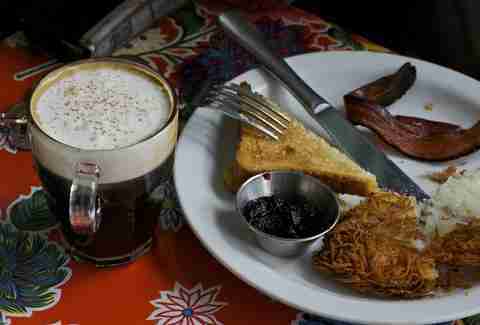 Fort Defiance’s Irish coffee is made with high proof whiskey, espresso, boiling water, and thick, rich, heavy cream. This is a full sensory experience: the hot, caffeinated concoction toasts your palate and the hand-shaken, cinnamon-dusted cream cools it down. This little cafe’s limited bar turns out a delightfully decadent, deceptively simple, sweet hot drink. The French hot chocolate combines dense hot cocoa with port wine to rich, slightly buzzy effect. A cup is a dessert replacement rather than accompaniment for all but the most committed gourmands. 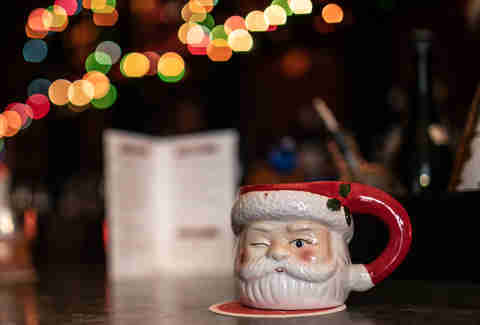 The Bad Santa has become a winter tradition at this cozy dimly lit cocktail bar. Last year, it was a hot chocolate/mezcal mix. Previously, it was a blend of Jamaican rum, pineapple juice, coconut water, and coconut butter. Now, it’s boozy apple cider spiked with apple calvados, aquavit (a Scandinavian spirit) and cinnamon butter. 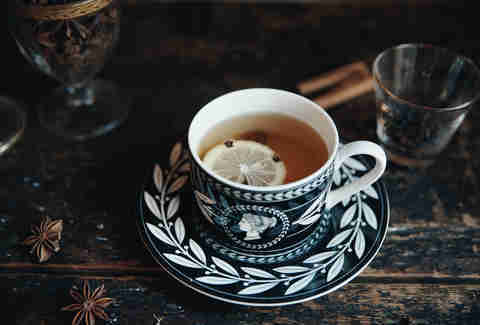 The uplifting swell of rum or whiskey in a typical hot toddy can overwhelm an untrained imbiber. This gentler, entry level variation incorporates honey liquor, lemon and cloves to warm up fairweather drinkers. Like its seasonal kin, standalone pumpkin spice is played out -- but it shakes up winter’s answer to the fruity cocktail. 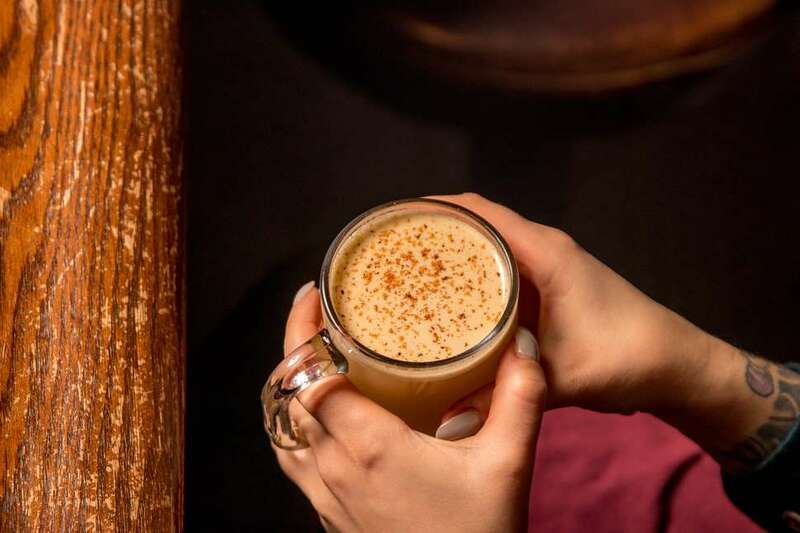 Hot apple cider, pumpkin butter, spice tincture, and a spike of your favorite booze amount to a basic drink that you won’t be ashamed to sip in public. Mulled wine is a comfort cocktail, and this is among the most nuanced recipes known to New York. Your taste buds and sinuses will be tingle after a glass or two of the port wine, Ansac Cognac VS, orange peel, peppercorn, and clove combo. Swap a stirrer with a slightly spicy cinnamon stick. A punishing pour of High West Double Rye is barely tamed by a tangy blood orange liqueur, fiery habanero syrup, lemon juice, and a sprinkling of shaved Belgian Chocolate. And at $13 a pop, you won’t need to sell your soul for a second. The geniuses at Industry Kitchen cracked the hot cocktail game wide open with their boozy hot cocoa concoction: Nutella mixed with dark chocolate and milk. Spike it with the spirit of your choice for an adult iteration of your childhood snow day favorite.